The irony of providing a list of biographies focussed on a man as intensely private as Thomas Hardy is clear. His desire to control the presentation of his own life is found most obviously in his two-volume “autobiography,” The Early Life of Thomas Hardy and The Later Years of Thomas Hardy, originally published under the name of his second wife, Florence. 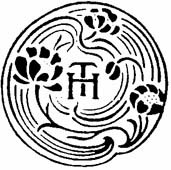 Three full-scale biographies have been published on Hardy within the last twenty-five years: Robert Gittings’ Young Thomas Hardy and The Older Hardy; Michael Millgate’s Thomas Hardy: A Biography; and Martin Seymour-Smith’s Hardy. The scholarly consensus is that Millgate’s text is definitive. What follows is a chronological listing of works which are either actual biographies of Hardy, or which possess a significant biographical element. Hardy, Florence Emily. The Early Life of Thomas Hardy, 1840-1891. London: Macmillan, 1928. Hardy, Florence Emily. The Later Years of Thomas Hardy, 1892-1928. London: Macmillan, 1930. Blunden, Edmund. Thomas Hardy. New York: St. Martin’s, 1942. O’Sullivan, Timothy. Thomas Hardy: An Illustrated Biography. London: Macmillan, 1975. Orel, Harold. The Final Years of Thomas Hardy, 1912-1928. Lawrence: University Press of Kansas, 1976. Gittings, Robert. Thomas Hardy’s Later Years. Boston : Little, Brown, 1978. Orel, Harold. The Unknown Thomas Hardy. New York: St. Martin’s, 1987. Hands, Timothy. Thomas Hardy : Distracted Preacher? : Hardy’s religious biography and its influence on his novels. New York: St. Martin’s Press, 1989.